Not all heart jewellery has to be girly-girl. 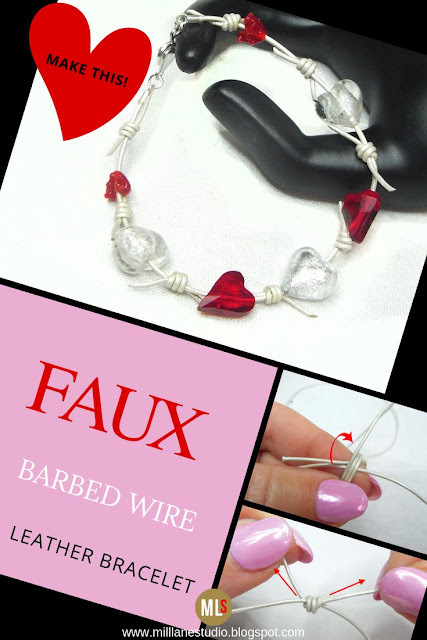 For those girls who prefer their jewellery to have a little attitude, this faux barbed wire leather bracelet strung with a variety of heart beads is edgy, yet comfortable to wear. 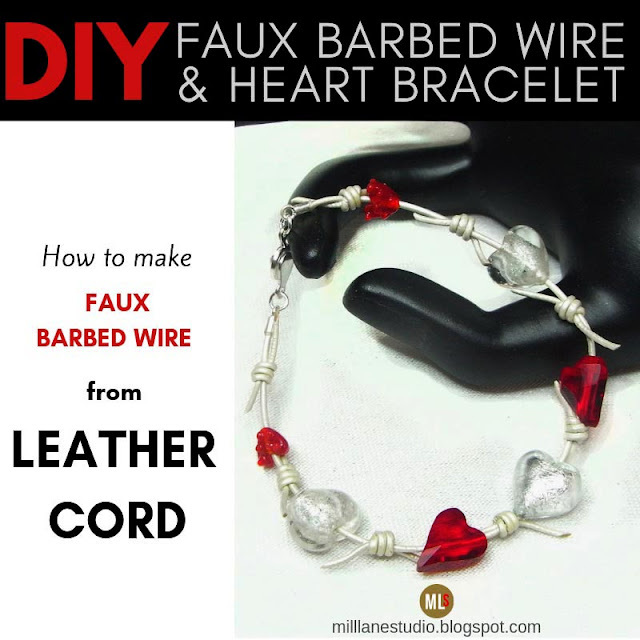 The barbs, made from pearl white leather cord, look sharp but feel soft against your skin. 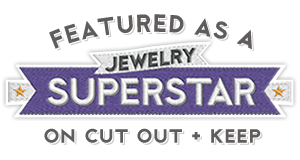 You'll also need chain nose pliers to connect the clasp at the end. 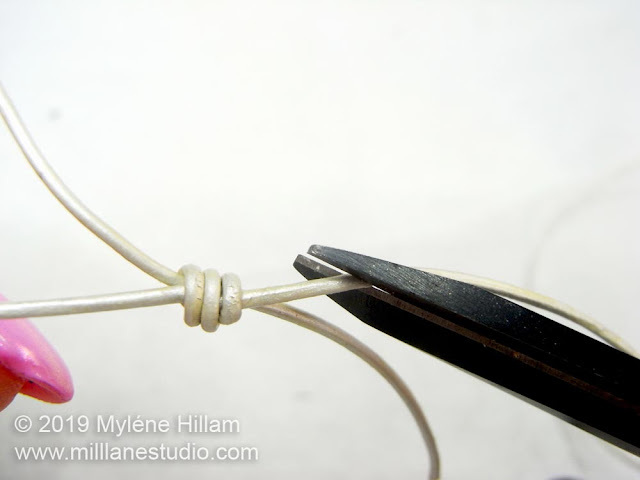 Cut a 12" length of leather cord for the bracelet. Whilst holding the bracelet cord between your thumb and finger, place the end of the hank of the leather cord alongside the bracelet cord and hold it approximately 3cm (1-3/16") from the end (shown here in my right hand). 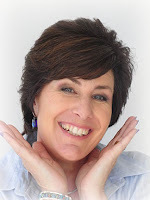 Transfer the two cords to your non-dominant hand and wrap the hank around your finger and the two cords three times (starting from the finger tip and working back towards your palm). 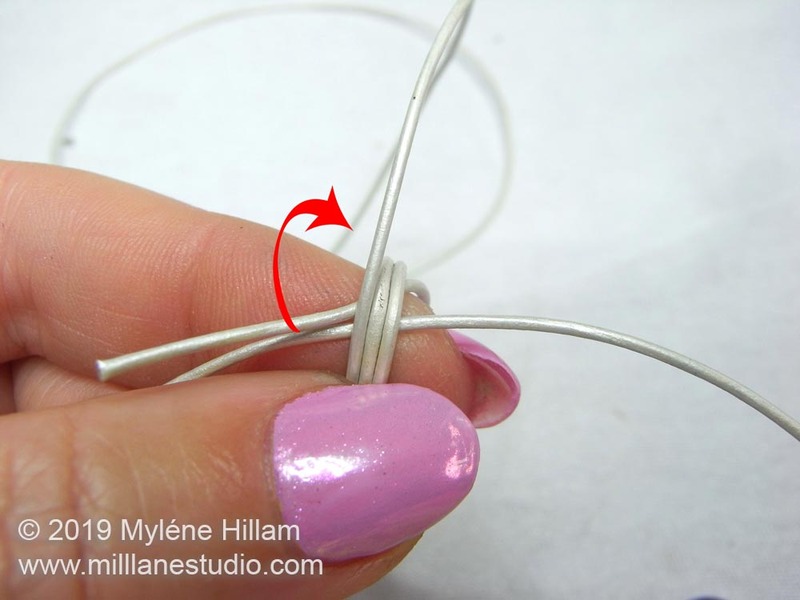 Take the tip of the hank cord and insert it in between your finger and the coils you've just formed. Pull the cord all the way through. Make sure you keep the coil shape as you pull. N.B If you find it difficult to pull the whole hank through, cut the cord shorter before inserting it through the coils. Slide the knot to 2.5cm (1") from the end of the bracelet cord and then tighten the knot by pulling on the two sides. 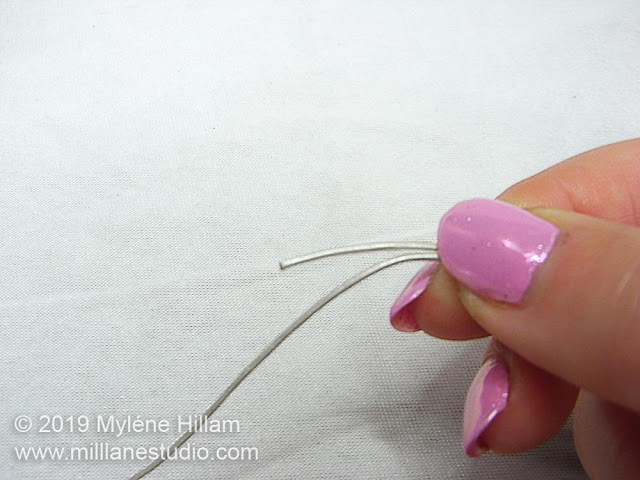 Trim the tails at a sharp angle to form the "barbs". 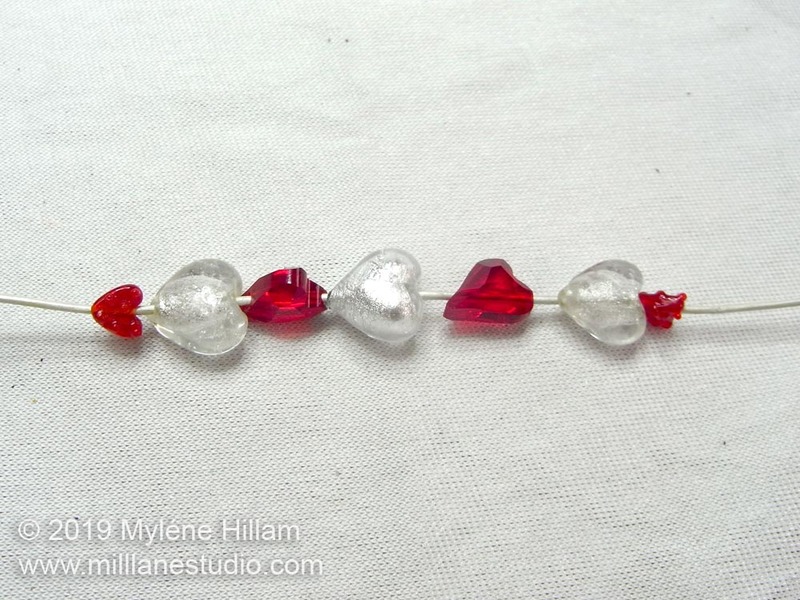 String the beads onto the cord following the stringing pattern below with all the hearts pointing in the same direction. 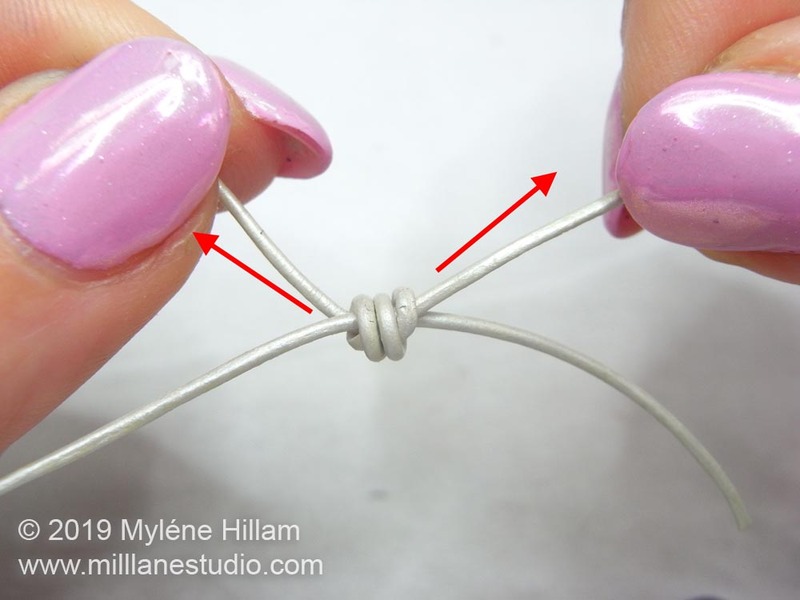 Form a sliding knot between each bead, spacing them approximately 20mm (3/4") apart for a 20cm (8") bracelet. Adjust the distance between the sliding knots for a smaller or larger bracelet. 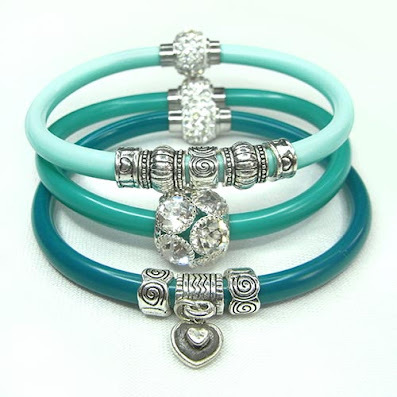 Alternatively, add or take away beads to increase or decrease the length of the bracelet. 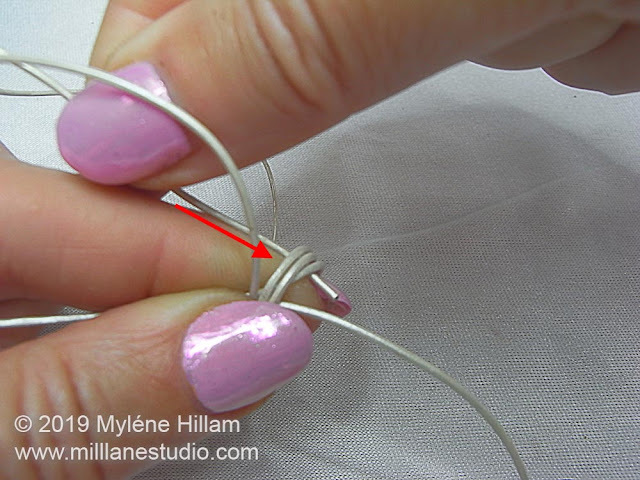 Test the bracelet for fit, allowing for the clasp, and trim the ends of the cord so that they are even. 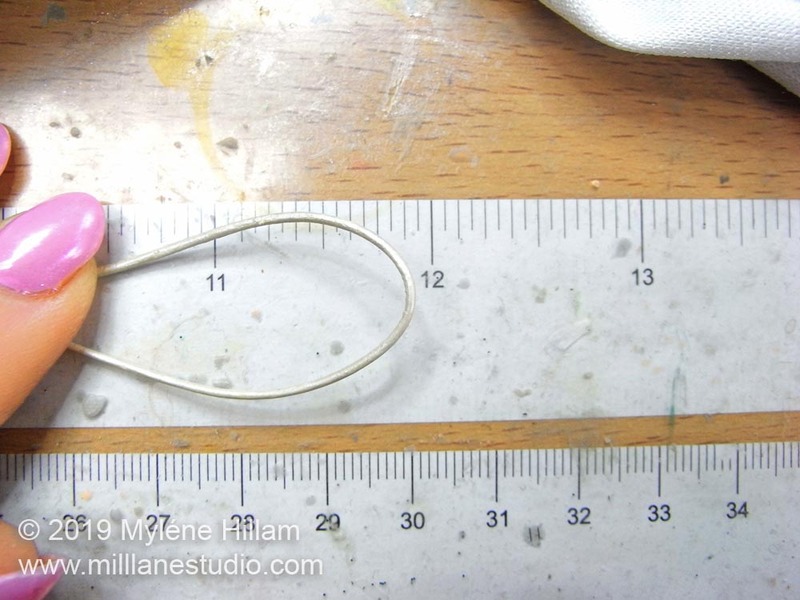 Mix the 5-minute epoxy and apply it to the inside of the cord ends with a tooth pick. 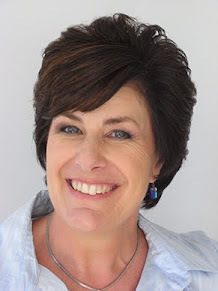 Insert the cords. 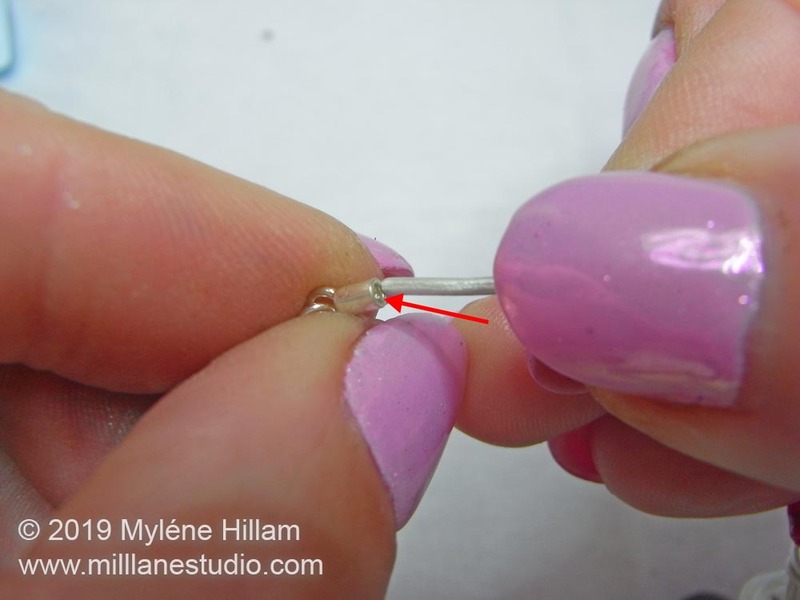 Once the adhesive has set, attach a jump ring and one half of the clasp to each end of the bracelet. If you prefer to see the knot tying in action, watch this short video to see how to do it!